Hey Guys! As promised earlier, I am back with my second Cultural Outfit. This time I am showcasing an Arabian look. 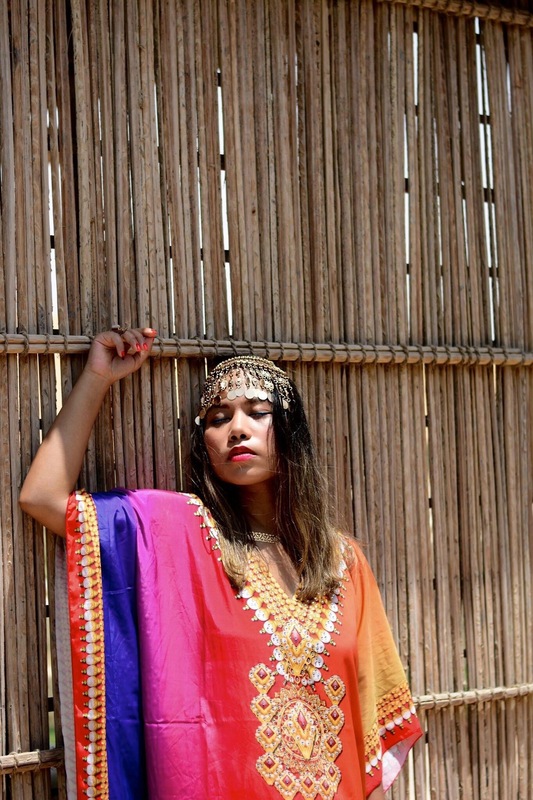 I have always been fascinated by the mystical and magical fairytales and heritage of Arabia and I had to try out this outfit look. 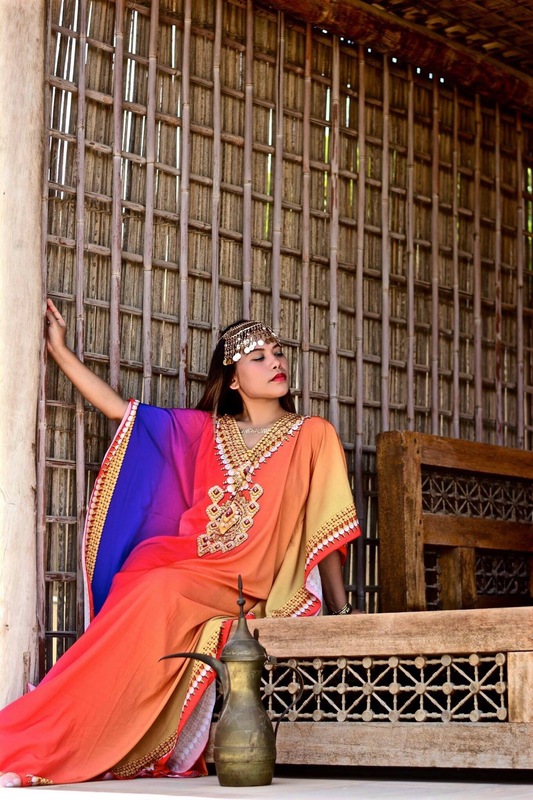 The main traditional outfit for an Arabian outfit is the Kaftan (I bought mine from Namshi). It is a long robe like dress usually reaching at least to the ankles with long sleeves. It is usually made of wool, cashmere, silk or cotton. To compliment the Kaftan, the outfit is only complete with a head jewellery. 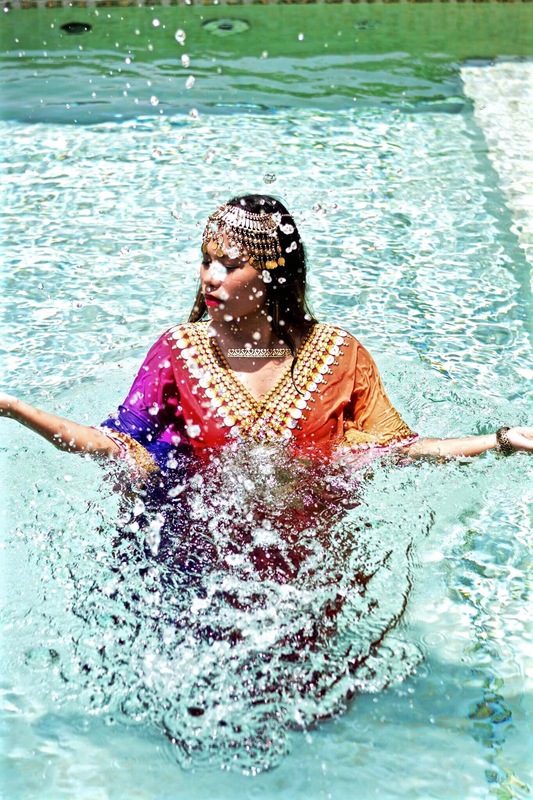 In my outfit look, I chose one of my Arabian themed neck pieces and used it as a head piece 🙂 I simply loved this outfit as it was very comfortable and light, which was perfectly apt for the Dubai summers. 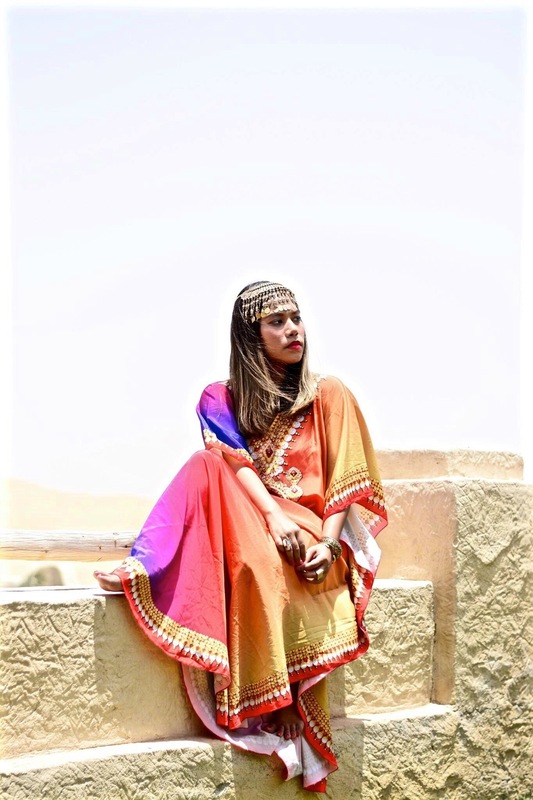 The outfit photos were taken at the amazingly beautifully Qasr Al Sarab by Anantara. A perfect mystical location I must say. Previous THE WIDE LEG TROUSERS THAT WILL MAKE YOU LOOK LIKE A SUPERMODEL by Andreea Birsan!